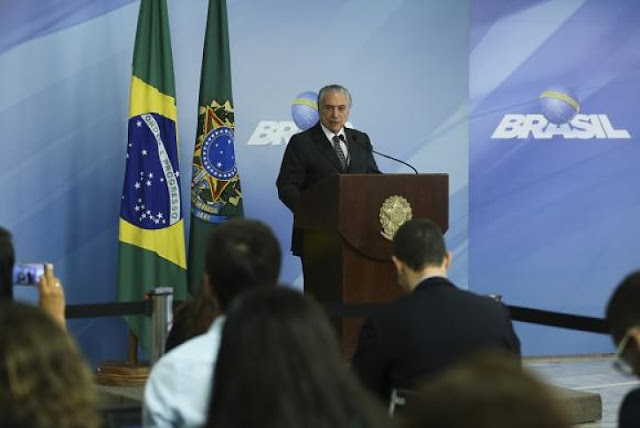 President Michel Temer said that the Brazilian government will focus on a reform to streamline tax laws in 2017. “Next thing, the government wants to focus its efforts on a tax reform to make [Brazil's tax system] simpler. It is another reform we want to lead,” he said while presenting a review of the government's actions to journalists today (Dec. 29). The president said he hopes the government will have no difficulties having its labor reform proposal submitted to Congress last week approved because of the “talks between workers and employees” in recent months. Talking about a political reform, Temer said it should be lead by parliament with the government's “encouragement and participation” in drafting a proposal. The president made his remarks during a press conference where he took stock of the government's performance so far. He reaffirmed his concerns about reviving employment and job creation in the country in 2017. “Unemployment is an issue that upsets people in our country and creates instability, but once we've overcome the crisis, emerged from the recession and revived growth, we'll have the conditions for employment. Unemployment is very likely to fall as of the second half of next year. 2017 will most definitely be a new year—not a continuation of 2016,” he went on.